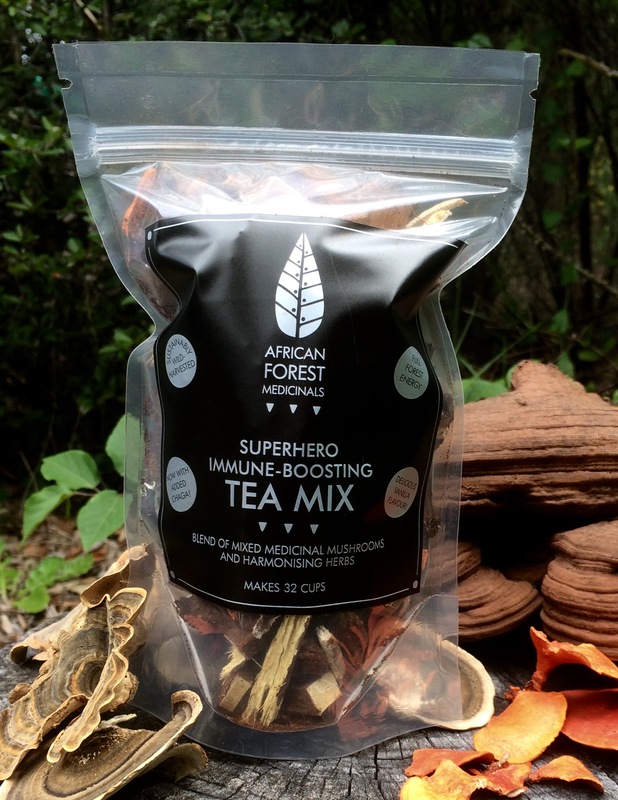 Our Superhero Immune-Boosting Tea Mix is made up of 4 different types of medicinal mushrooms, carefully blended with a deliciously sweet mixture of goji berries, licorice root and vanilla pods. Turkey Tail or Trametes versicolor – contains PSK and PSP – both cancer-fighting polysaccharides that have proven to be extremely successful against breast and prostate cancers. 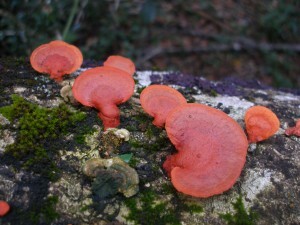 Turkey Tail, as with other medicinal mushrooms, also contain Beta glucans, the long-chain polysaccharides that super-boost immunity. They do this by mimicking bacteria – and this in turn kick-starts our immune systems into “super-active” mode. 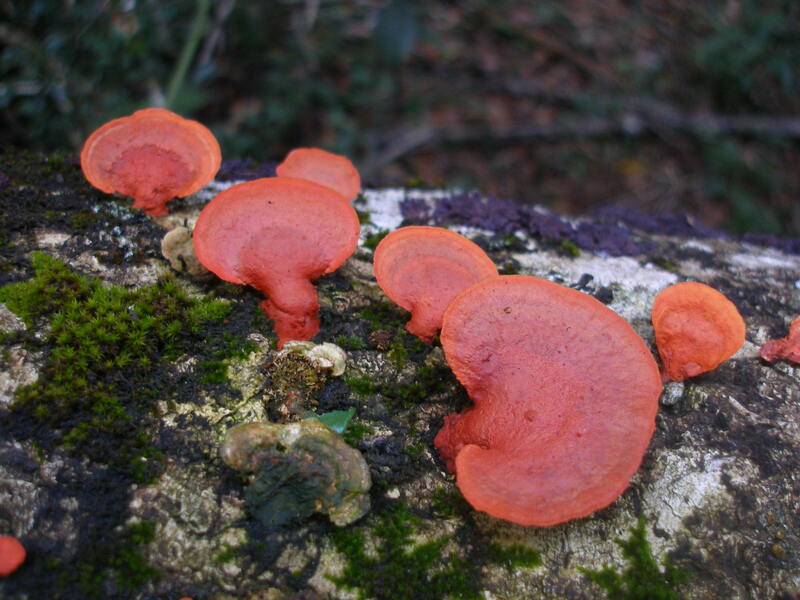 Cinnabar Polypore or Pycnoporus cinnabarinus – also immune-boosting, but also very helpful in addressing circulation issues. 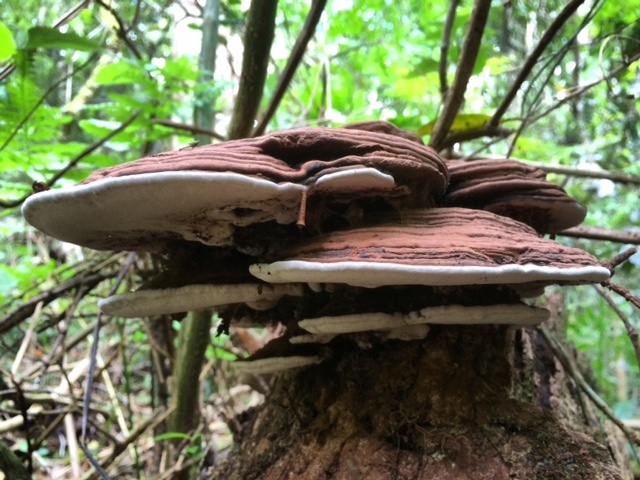 Inonotus obliquus – or “Chaga”, King of the Medicinal Mushrooms! 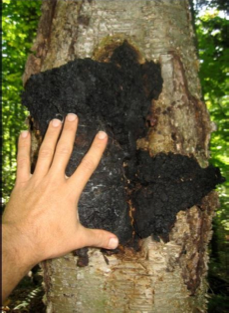 Chaga or Inonotus obliquus – King of the Medicinal Mushrooms – is a super- powerful tonic herb. It only grows north of the Arctic circle, mainly on birch trees – from which it concentrates the betulin, betulinic acid and lupeol, the medicinal components of birch. Chaga is an incredibly powerful antioxidant (and is in fact the highest source of the super-antioxidant Superoxide Dismutase) , is anti-cancer, antibacterial, anti-inflammatory and immune-modulating, It also detoxes the liver and lowers bad cholesterol levels, as well as offering a myriad of other health benefits. As with all the other mushrooms in our tea mix, the chaga is also wild-harvested. We have also added vanilla pods and powder to our Tea Mix, which impart a deliciously sweet, fragrant taste so that you end up with a tea that is a delight to your taste buds (and doesn’t taste “mushroomy” at all!) Vanilla is also a mood-enhancer. Licorice root is added for its harmonising effect on the tea – it brings all the flavours together. Not only that but licorice has many pharmocological actions – including anti-inflammatory, anti-allergy, antibacterial and anti-cancer effects. It helps regulate estrogen/progesterone ratios in women and also helps replenish adrenal function, so it is a highly recommended herb for fatigue. (Special note – if you suffer from high blood pressure, licorice can exacerbate this condition. In this case you may choose not to put the whole piece of licorice root in your tea and only use some of it instead – or even take it out altogether. On the other hand, if you suffer from low blood pressure this can help correct and balance the problem). 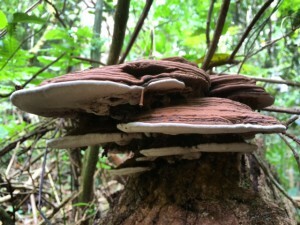 All mushrooms, except for the chaga, are wild-harvested in the Knysna Forest. The chaga is wild-harvested (on order, for the freshest mushrooms possible) in Russia and all the other ingredients are certified organic. Both wild-harvested and organic plants require greater natural protection against predators, resulting in them producing far more of the compounds that we are then able to enjoy as medicine. They are also a lot more mineral-rich. Wild-grown plants are also infused with the energies of the natural environment they have grown in – and this wild, natural energy automatically gets transferred to us when we take these plants into our bodies, making us stronger and more in touch with our wild, natural heritage. There is always a pot on the go in my house and the fact that it’s really good for you is just a bonus. I find it very grounding and it makes me happy… this may sound strange, but my body sings when I drink it. This is true earth medicine. Firstly, check our Outlets page to see if there is a retailer near you. If not, then please email us on info@africanforestmedicinals.com and we will help you directly. Wholesale enquiries – please contact our distributor in South Africa, Soaring Free Superfoods. Is this the most delicious tea you’ve ever tasted or what?? Please leave us feedback below – thanks!